Alright my friends – We are cooking with gas here in the Metal Command HQ and serving up the third chapter from the Day Three explorations of the 2017 NY Comic Con. Since we are so deep into the mix now I will not say much more but suggest that if you are among our new followers that you click on THIS LINK to open everything related to this convention on a new page. It’s easy enough to start enjoying from the beginning so get on that while we continue along. You can catch up at your own pace. There’s a little bit of everything in this chapter with Artist Alley, The Block, The Main Hall, The Trench…..Whew. Let’s get down to business. 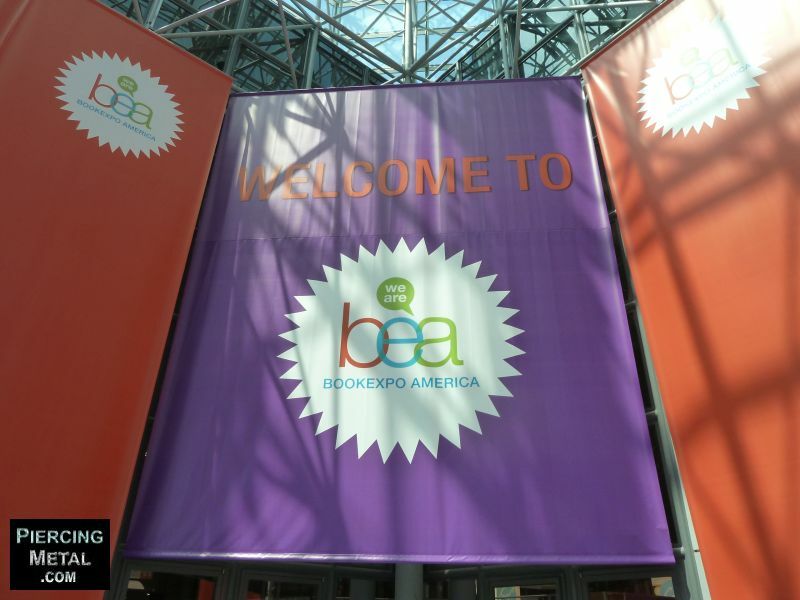 Hey there readers, the other day I hit the 2014 edition of Book Expo America which is another convention that I have been attending for a few years and showcasing with you here on the PiercingMetal site. It’s quite different from the NY Comic Con event, but I like to drop in and see what might be coming our way in the realms of music related and comic book super-hero type books. I’m quite the avid reader with interests in a wide variety of entertainment properties so its always fun to wander this event meeting the folks that are putting out items that fall into our readership wheelhouse. Let’s get started with the banner that greets educators and press as they walk into the Javits Center. 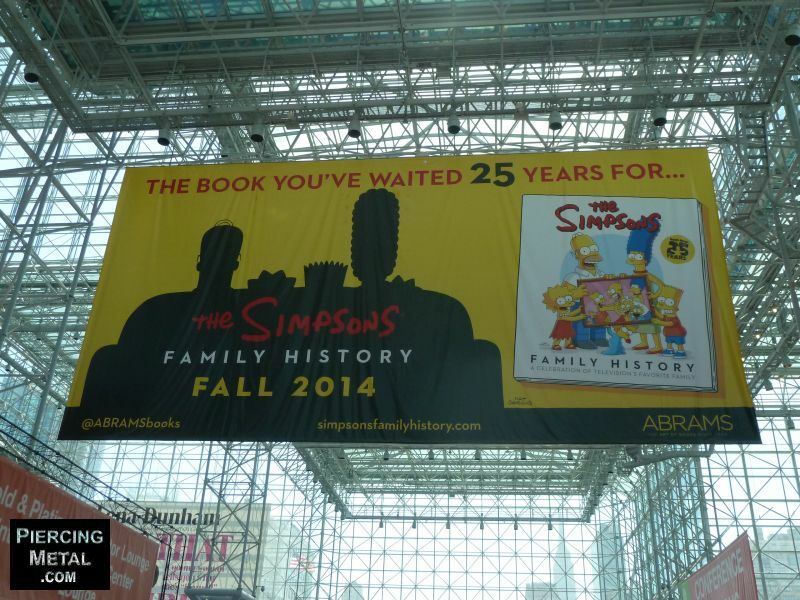 Also hanging above our heads was a great banner showcasing the “Family History Of The Simpsons”. Since I have been a fan of that show since it began airing so many years ago I am going to try and get a glimpse of this book when I hit the Abrams Comic Arts section of the expo. Hello readers and welcome back to the continuing presentations from my recent visit to the NY Comic Con of 2013; I am still hard at work delivering all the wondrous findings and visuals from the second day of the convention and if you are just joining us on the program, please know that I have broken down my images into fifty per posting. Let’s get a move on shall we…. I don’t really like starting off a chapter with a Cosplay that I do not immediately recognize but the Manga stuff is too hard to follow. 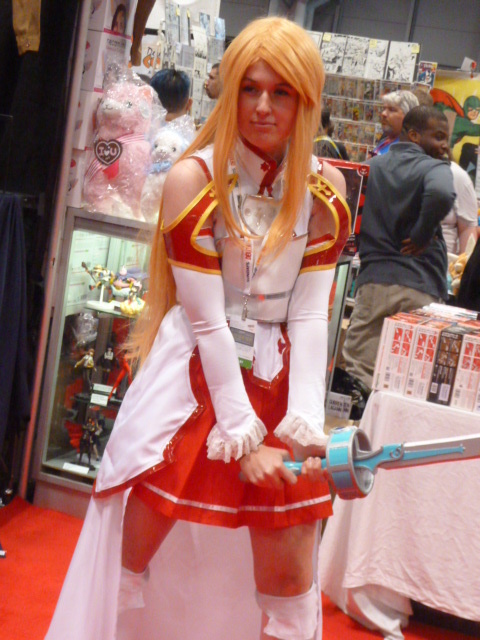 This young lady had an impressive battle stance and hence gets the honor just the same. 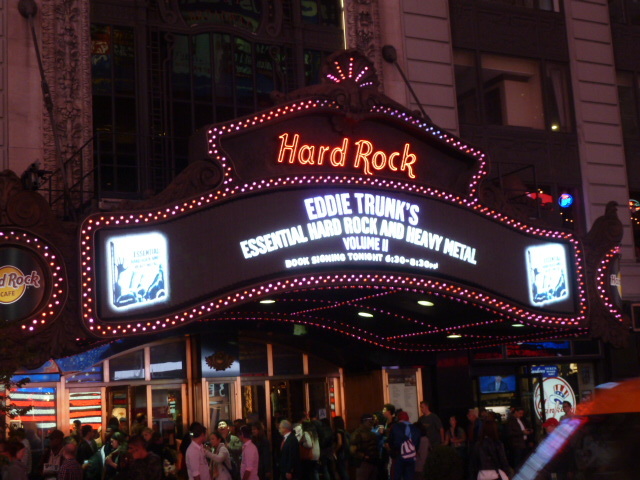 For those fans of Eddie Trunk’s radio program and hit VH1 Classic series “That Metal Show”, you will be pleased as the proverbial punch to learn that the second volume of his “Essential Hard Rock and Heavy Metal” has just been released. Take a look at the cover from this Abrams Books offering…..